Greetings! I am Rick the creator and producer of LookNowTV. This channel focuses on featuring the most mysterious UFO video and other interesting mysterious topics. My channel is different because I have videos from original quality documentary styled videos to various mysteriously entertaining videos with my personality & raspy voice joining you throughout the videos. From UFOs & strange weather phenomena & unknown creatures. I have it covered! SEND ME STUFF IF YOU WANT! ;] [email protected] PO BOX 117 Baldwin, NY 11510 If you feel you have a legit copyright issue please contact me at [email protected] & I'm sure we can sort it all out. Thanks so much! SUBSCRIBE TO LookNowTV NEW VIDEOS EVERY WEEK! ALL HATERS, BULLIES, AND MEAN TROLLS WILL BE BANNED AND BLOCKED! STOP PROJECTING YOUR INSECURITIES & INSULTING PEOPLE TO MAKE YOURSELF FEEL BETTER. GIANT CREATURES & Mysterious things! Hosted By Rick @ LookNowTV! LookNowTV Documentaries UFOs & Mysteries! 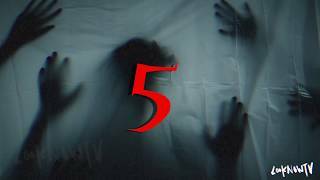 8 Scary Ghost Encounters Spotted In Schools! 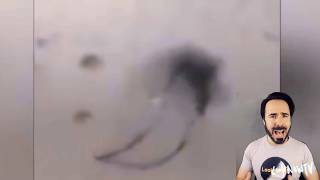 GHOST Scary Encounters Spotted In Schools! LookNowTV Presents! Another awesome entertaining mysterious video. From CCTV spotting unexplained things at night on school grounds, to what some say is ghostly caught on camera while at school. Let's take a closer look! AWARDED PATREON SUPPORTERS OF 5+ PER MONTH ★DrPhil59 AKA The ChemtraiI Whisperer★Leonard Mott★ P Dunaway ★Allison Knight ★Peter Wilson★Lisa Gabriel ★ Hawkelson Rainier MUSIC BY: CO.AG MUSIC & Myuu & Kevin MacLeod & Ross Bugden & Homage CO.AG MUSIC: https://www.youtube.com/c... Ross Bugden: https://www.youtube.com/c... Myuu: https://www.youtube.com/m... Kevin MacLeod: https://www.youtube.com/c... ^^ SUB to these guys! I use their awesome music a lot! :] Youtube Fair Use Example: https://www.youtube.com/y... For copyright matters please contact me: [email protected] FAIR USE STATEMENT This video may contain copyrighted material the use of which has not been specifically authorized by the copyright owner. This material is being made available within this transformative or derivative work for the purpose of education, commentary and criticism and is believed to be “fair use” in accordance with Title 17 U.S.C. Section 107. Mysterious Inexplicable Sky Moments Spotted In Real Life! UFOs & Strange Events In the Skies! Mysterious Inexplicable Sky Moments Spotted In Real Life! LookNowTV Presents! In this video we take a look at 9 unexplained things caught on camera in the skies! 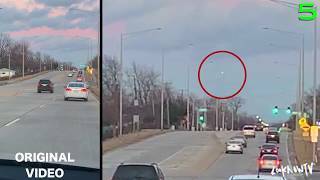 From someone that claims to have captured a real triangle UFO on video, to something strange hovering in a stormy sky over a busy parkway. Join me Rick, as we take a closer look! AWARDED PATREON SUPPORTERS OF 5+ PER MONTH ★DrPhil59 AKA The ChemtraiI Whisperer★Leonard Mott★ P Dunaway ★Allison Knight ★Peter Wilson★Lisa Gabriel ★ Hawkelson Rainier MUSIC BY: CO.AG MUSIC/ Myuu/Kevin MacLeod/Homage CO.AG MUSIC: http://bit.ly/2f9WQpe Myuu: https://bit.ly/1kEFaot Kevin MacLeod: https://bit.ly/2iGIbak "Alleluia" Instrumental by Homage https://www.youtube.com/w... ^^ SUB to these guys! I use their awesome music a lot! :] Youtube Fair Use Example: https://www.youtube.com/y... For copyright matters please contact me: [email protected] FAIR USE STATEMENT This video may contain copyrighted material the use of which has not been specifically authorized by the copyright owner. This material is being made available within this transformative or derivative work for the purpose of education, commentary and criticism and is believed to be “fair use” in accordance with Title 17 U.S.C. Section 107. 10 Scary Mysterious Videos Worldwide LookNowTV Presents more awesome amazing & inexplicable things captured on video! Let's take another look at this series of videos!! AWARDED PATREON SUPPORTERS OF 5+ PER MONTH ★DrPhil59 AKA The ChemtraiI Whisperer★Leonard Mott★ P Dunaway ★Allison Knight ★Peter Wilson★Lisa Gabriel MUSIC BY: CO.AG MUSIC & Myuu & Kevin MacLeod & Ross Bugden & Homage CO.AG MUSIC: https://www.youtube.com/c... Ross Bugden: https://www.youtube.com/c... Myuu: https://www.youtube.com/m... Kevin MacLeod: https://www.youtube.com/c... ^^ SUB to these guys! I use their awesome music a lot! :] Youtube Fair Use Example: https://www.youtube.com/y... For copyright matters please contact me: [email protected] FAIR USE STATEMENT This video may contain copyrighted material the use of which has not been specifically authorized by the copyright owner. This material is being made available within this transformative or derivative work for the purpose of education, commentary and criticism and is believed to be “fair use” in accordance with Title 17 U.S.C. Section 107. 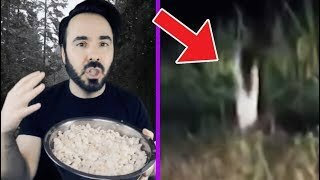 11 Ghost And Mysterious Videos Found Online! LookNowTV Presents more fascinating unexplained videos caught on camera from around the world. From ghosts to mysterious moments caught on camera. Let's take a closer look! AWARDED PATREON SUPPORTERS OF 5+ PER MONTH ★DrPhil59 AKA The ChemtraiI Whisperer★Leonard Mott★ P Dunaway ★Allison Knight ★Peter Wilson★Lisa Gabriel ★ Hawkelson Rainier MUSIC BY: CO.AG MUSIC & Myuu & Kevin MacLeod & Ross Bugden & Homage CO.AG MUSIC: https://www.youtube.com/c... Ross Bugden: https://www.youtube.com/c... Myuu: https://www.youtube.com/m... Kevin MacLeod: https://www.youtube.com/c... ^^ SUB to these guys! I use their awesome music a lot! :] Youtube Fair Use Example: https://www.youtube.com/y... For copyright matters please contact me: [email protected] FAIR USE STATEMENT This video may contain copyrighted material the use of which has not been specifically authorized by the copyright owner. This material is being made available within this transformative or derivative work for the purpose of education, commentary and criticism and is believed to be “fair use” in accordance with Title 17 U.S.C. Section 107. 16 UFO Mysterious Videos You Won't Believe! 16 UFO Mysterious Videos You Won't Believe! LookNowTV presents! UFOs sightings are being caught on camera all over the world. In this video we take a look at some recent unidentified flying objects that were caught on camera. Join me Rick and I hope you enjoy this UFO extravaganza! Let's take a closer LOOK! AWARDED PATREON SUPPORTERS OF 5+ PER MONTH ★DrPhil59 AKA The ChemtraiI Whisperer★Leonard Mott★ P Dunaway ★Allison Knight ★Peter Wilson★Lisa Gabriel MUSIC BY: CO.AG MUSIC & Myuu & Kevin MacLeod & Ross Bugden & Homage CO.AG MUSIC: http://bit.ly/2f9WQpe Ross Bugden: https://bit.ly/1jYgYcg Myuu: https://bit.ly/1kEFaot Kevin MacLeod: https://bit.ly/2iGIbak "Alleluia" Instrumental by Homage https://www.youtube.com/w... ^^ SUB to these guys! I use their awesome music a lot! :] Additional Sources: https://www.youtube.com/u... Youtube Fair Use Example: https://www.youtube.com/y... For copyright matters please contact me: [email protected] FAIR USE STATEMENT This video may contain copyrighted material the use of which has not been specifically authorized by the copyright owner. This material is being made available within this transformative or derivative work for the purpose of education, commentary and criticism and is believed to be “fair use” in accordance with Title 17 U.S.C. Section 107. 10 Ghost Unexplained Mysterious CCTV Videos! 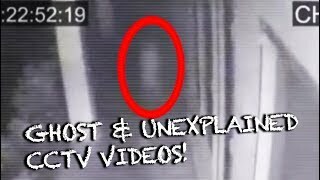 10 Chilling Unexplained Moments Caught CCTV!LookNowTV Presents another fascinating look into & strange and mysterious ghosts moments. 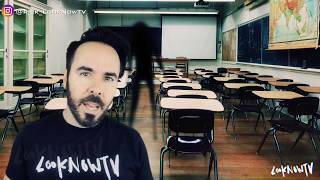 In this video we'll take a look at what some people believe are CCTV camera pieces of unexplained phenomena that may prove that we're not alone. Let's take a look at some of the evidence that was captured on video! Let's take a closer look! AWARDED PATREON SUPPORTERS OF 5+ PER MONTH ★DrPhil59 AKA The ChemtraiI Whisperer★Leonard Mott★ P Dunaway ★Allison Knight ★Peter Wilson★Lisa Gabriel MUSIC BY: CO.AG MUSIC & Myuu & Kevin MacLeod & Ross Bugden & Homage CO.AG MUSIC: https://www.youtube.com/c... Ross Bugden: https://www.youtube.com/c... Myuu: https://www.youtube.com/m... Kevin MacLeod: https://www.youtube.com/c... "Alleluia" Instrumental by Homage https://www.youtube.com/w... ^^ SUB to these guys! I use their awesome music a lot! :] Youtube Fair Use Example: https://www.youtube.com/y... For copyright matters please contact me: [email protected] FAIR USE STATEMENT This video may contain copyrighted material the use of which has not been specifically authorized by the copyright owner. This material is being made available within this transformative or derivative work for the purpose of education, commentary and criticism and is believed to be “fair use” in accordance with Title 17 U.S.C. Section 107. Copy the code below and paste into your website or blog!